The mammoth 1910G from John Deere features a low-wide bunk (VLS) that folds for transport, bigger tires for better ride comfort compared to other forwarders and higher ground clearance. Rotating, self-leveling cab turns 290 deg. 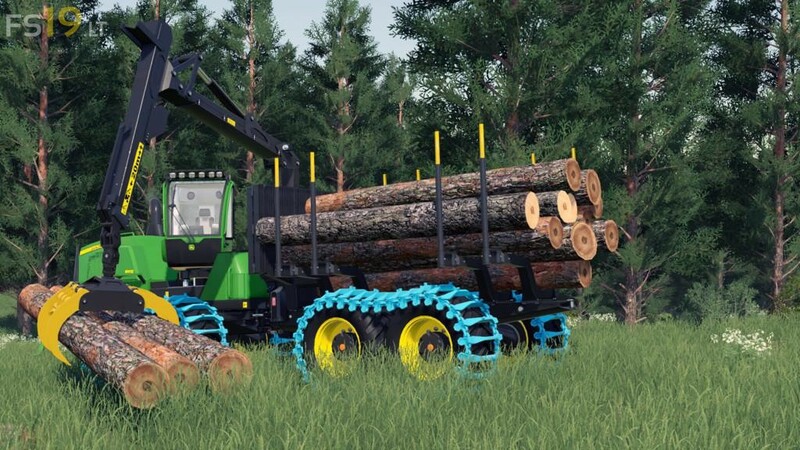 for an all-around view of boom movements for efficient log loading. A powerful CF8 crane with a Deere 040 grapple.